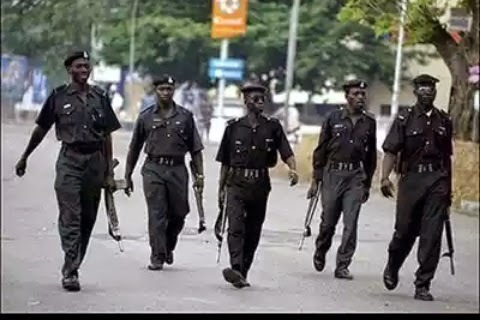 Aggrieved policemen to begin strike on March 28th. Policemen who are being owed promotion arrears have said they would embark on strike on March 28, 2015, the day the Presidential election would hold. According to them, this will help them press home their demand and convince the police authorities that they are serious about their threat to down tool. The police personnel said that over 100 of their colleagues retired in 2014 without being paid the promotion arrears and other benefits, adding that the payment had been pending for over two years. The men who spoke to our correspondent in Abuja on Monday, expressed fears that their benefits may not be paid as promised by the Inspector-General of Police, Suleiman Abba. The officers faulted the statement credited to the IG that the police could not pay duty tour allowances and other benefits because of the shortfall in allocation to the Force by the Federal Government. Abba had stated in a document on the 2015 Budget Defence presented to the Senate Committee on Police Affairs last week that the 2014 police budget which suffered a shortfall of N6,464673,537 made it impossible to successfully conclude the payment of personnel emolument in 2014. The policemen said that those that were being owed numbered about 15,000, adding that from the information available to them, nothing was being done by the police authorities to address their grievance. “The only way we could make the IG pay us our salary arrears and other benefits is to embark on strike on Election Day when the nation would need us the most. Otherwise, the issue would be swept under the carpet, like others. “Over 100 policemen have retired without being paid the arrears and some of us would retire this month or next. This means that we may not get the money before leaving service,” the men complained. The Force Public Relations Officer, Emmanuel Ojukwu, had earlier assured that the aggrieved policemen would be paid as soon as the Force received money from the Federal Government. “We are working hard to pay the men and I can assure you that they would be paid once the government pays us; we are waiting for the government to pay us, so we can pay them. The welfare of officers and men of the Force is of paramount importance to the IG and he would do everything necessary to ensure their welfare,” he stated.